In a small sauce pot, bring the water and sugar to a simmer, stirring occasionally. 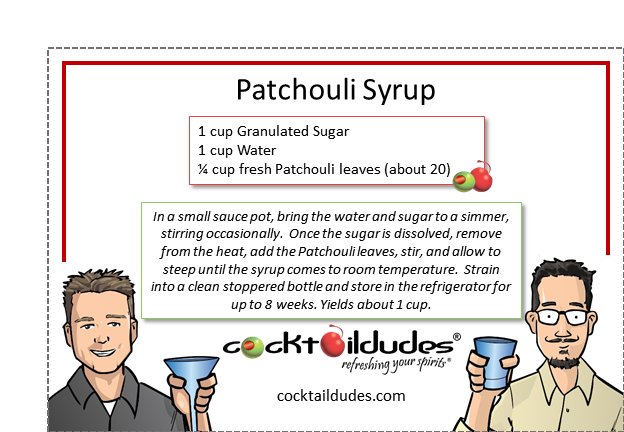 Once the sugar is dissolved, remove from the heat, add the Patchouli leaves, stir, and allow to steep until the syrup comes to room temperature. Strain into a clean stoppered bottle and store in the refrigerator for up to 8 weeks. Yields about 1 cup. 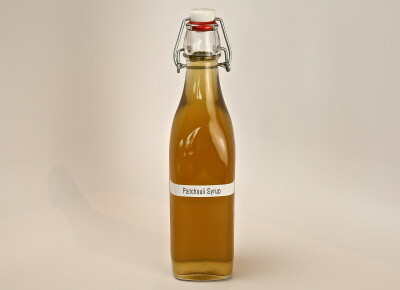 Patchouli is a bushy herb, in the mint family, with origins stemming from Southern and Central Asia. We buy it in the spring from our local nursery and plant it in our herb garden. The plant’s essential oils are most commonly used in perfumes and colognes, giving the fragrances their characteristic “musty” notes. 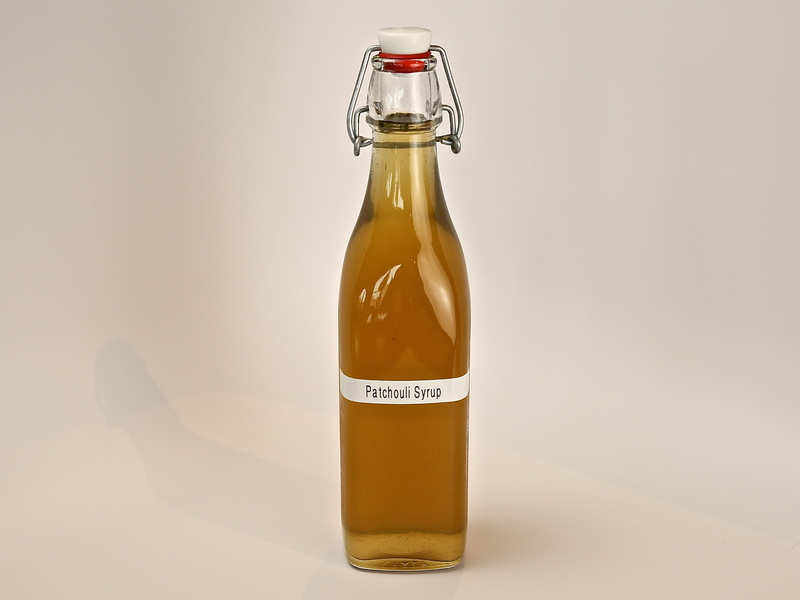 Utilizing the fresh leaves for a simple syrup yields an earthy taste of wet moss and tree bark, with notions of tobacco, white pepper, and Shiitake. Very unique. Very characteristic. Very delicious. Check out all of the cocktails we’ve created to utilize this “essence of forest floor.” Cheers!.